FREE Movie Tickets From My Coke Rewards! You are here: Home / FREEbies / FREE Movie Tickets From My Coke Rewards! Wow! 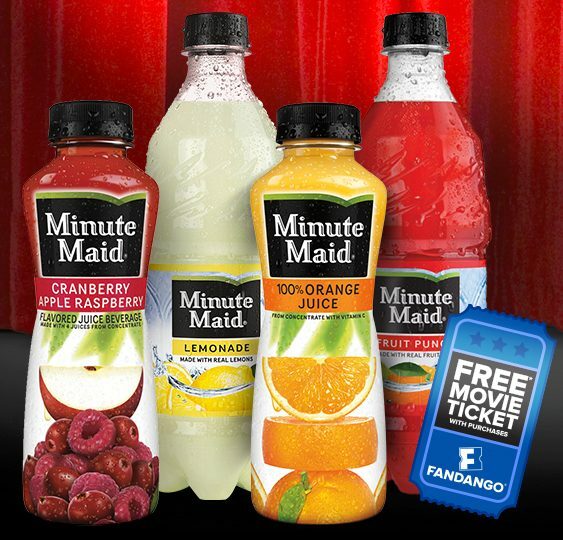 If you drink Minute Maid drinks, you’re going to want to grab this HOT deal! Log into your My Coke Rewards account (or create one if you don’t have one already) and enter 6 codes from 15.2 oz or 20 oz bottles from Minute Maid drinks to get FREE movie tickets from My Coke Rewards! You can do this deal 5 times, which will make for some cheap movie dates! This deal is valid until 6/30.